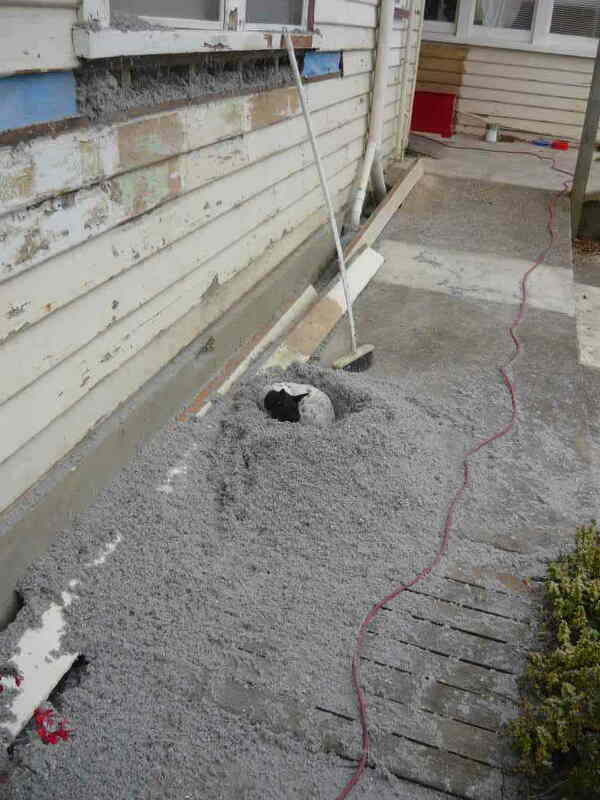 Insulation: The tale comes to a satisfying end. 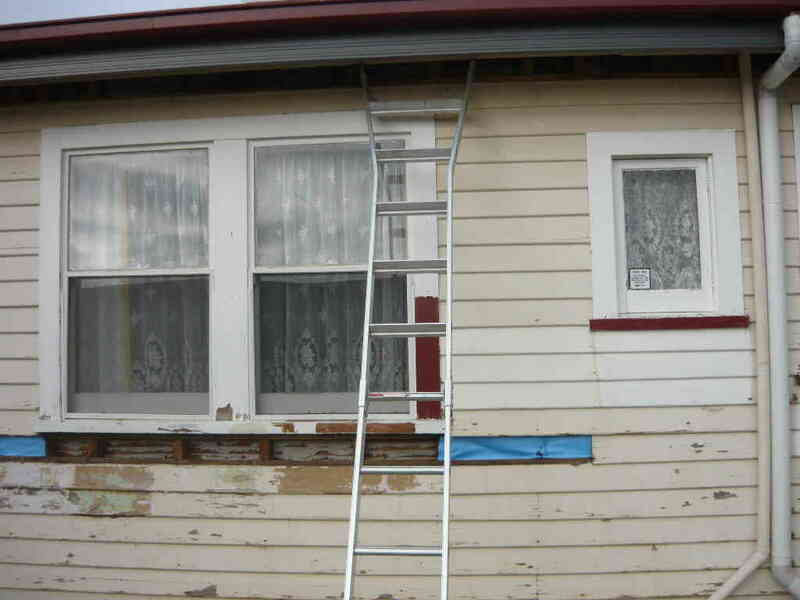 On the Sunday afternoon I removed the weatherboards from below the windows and from just below the eaves. I had removed them and denailed them a few weeks before and put them back with a temporary nail here and there to hold them. I stapled some builders paper over the bottom gap if it lined up with the top gap so that Kev could just pump the insulation in. Don’t forget that I had checked that I had NO NOGGINS, just studs so that made it a little easier. As Kev pumped in the insulation some made its way onto the pathway and Tessa Dog decided that it would make a very warm place for a bed. 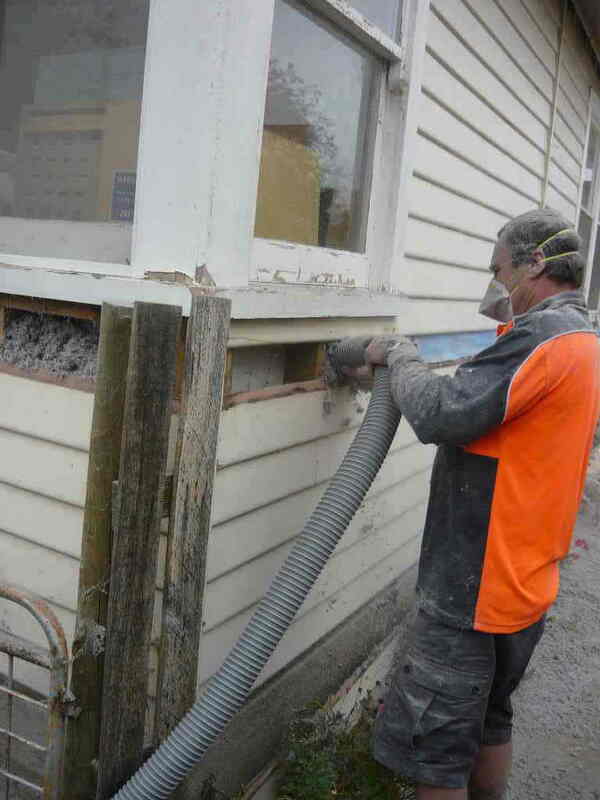 After about three hours Kev had pumped all the walls full of insulation and topped up our roof with the cellulose fibre. This wasput on top of the pink batts that were already in the ceiling when we moved in. This means that we have an R1 blanket directly underneath the new colourbond roofing as well as minimum R3 in the ceiling. The insulation in the walls has certainly made a difference to the street noise and we are awaiting a cold night to see if we can tell a difference heating wise. I am sure that it all helps. 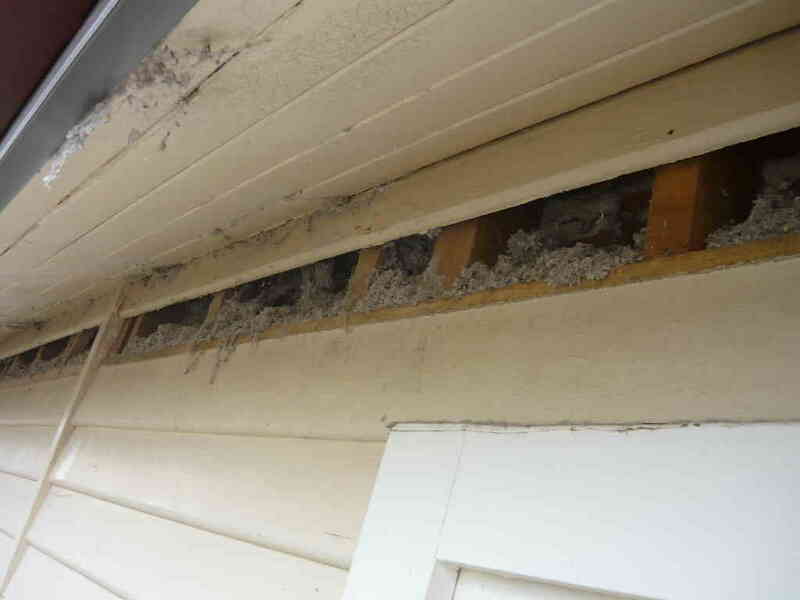 The last thing that I did was to stuff some left over wool batting into the small spaces where I removed the weatherboards and then replaced the weatherboards. Now I have the long task of removing the rest of the paint and repainting. Oh well Rome was not built in a day. ← Painting the first part of the house continued.